Many homeowners panic when their toilet breaks, especially when it overflows sewage all over the bathroom or renders the toilet unusable. However, panic isn’t necessary. Instead, contact Corley as soon as possible. If you need to mop up, do that first. Then, call us. We’ll make an appointment to get a plumber in Simpsonville SC to you as soon as possible, so you can get back to the things you’d rather do as soon as possible. If your toilet is overflowing, it’s probably obvious that it needs some work done. However, toilets can have other, less obvious problems, too. We handle the big problems and the small ones, the clear ones and the not-so-clear ones. So, if you notice any of the following things going on with your toilet, give us a ring. Your toilet runs all the time, or irregularly. Your toilet should refill with water after you flush it. This should only take, at most, a couple of minutes. If you notice that it’s running all the time or that it starts running randomly, when it’s not flushed, call a plumber to take a look. Your toilet is hard to flush. If your toilet used to flush normally but now you have to hold the handle down for a long time or try several times before getting a successful flush, something is wrong. We’ll get it working again soon! Your toilet leaks. Maybe your toilet doesn’t run all the time, but you hear smaller water sounds coming from the tank. This often indicates a problem with the flapper. We can come diagnose the issue and fix the problem in your tank. In addition to making your toilet work well again this toilet repair should save money on your water bill, too. If you decide that you’d prefer to install a new toilet in your Simpsonville, SC home, rather than repairing the old one, or if you just want to change things up in your bathroom, we can help you find and install one that will work well for your family. We’ll come out and assess your needs and desires, then give you a few possible toilets to choose from. After you make your choice, we’ll order your toilet and get it installed in your home. For an experienced plumber, toilet installation is not a big deal. We should be able to get yours done fast, so you can have your new toilet working soon. We install according to manufacturer’s specifications, so you never have to worry. Toilet problems can be frustrating, but you don’t have to worry about getting your Simpsonville, SC home back to normal. We’ll take care of that for your. 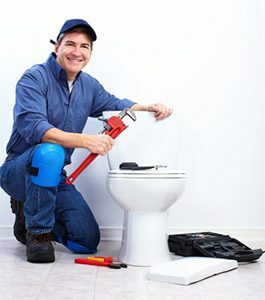 Our plumbers have excellent training and high levels of skill, so they will be able to figure out what your toilet needs and get that taken care of quickly. They’ll work hard and they won’t leave your home until they know you’re happy with the work they’ve done.